If you’re of the generation that used MSN Messenger through your teenage years, then you’ll no doubt be familiar with the various fanciful, often hideous emoticons and images that came as a standard part of the conversation. Nowadays, things have been tidied up somewhat when it comes to instant messaging, although numerous app makers have tried to revert us to the glory days of endless possibilities in this regard, and at a time when many of us have become a little tired by the overuse of emojis at seemingly every opportunity, one app lets you turn any image into a conversation prop. Called Imoji, it allows you to draft in any of your photos or stored images – as well as any you may find on the Web – and helps you to crop them into sticker-like creations that can be used in iMessage. To say it’s a little fiddly or perhaps even cumbersome would be an understatement, although once you get the hang of the routine, it’s pretty simple to get going and create your very own Imoji. If, however, you find the process just a little too tedious and instead wish to browse through a bundle of pre-made Imojis, you can also do this, for the app also permits you to search for those made and submitted by other users. Checking out the demo video, it’s very clear that the team behind Imoji is looking to turn Apple’s native iMessage app into an MSN-incarnate, and whilst this may send a shudder down the spines of those who’d presumed those days were long gone, it’s also good to see the service being made a little more customizable. 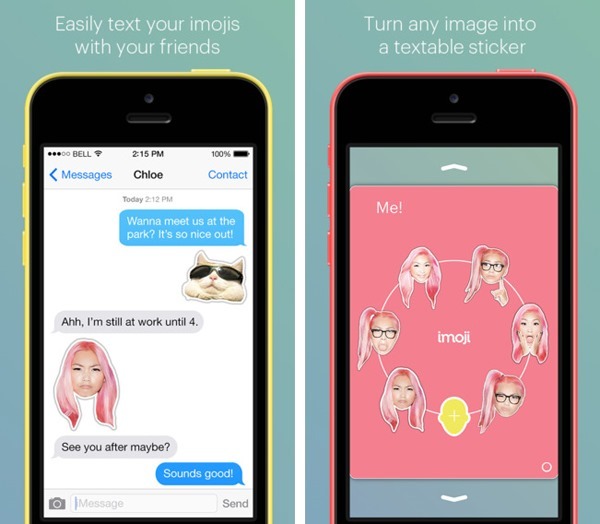 Imoji is absolutely free to download, and is optimized for the iPhone. With some impressive early ratings and discussions apparently ongoing between developer Builds LLC. 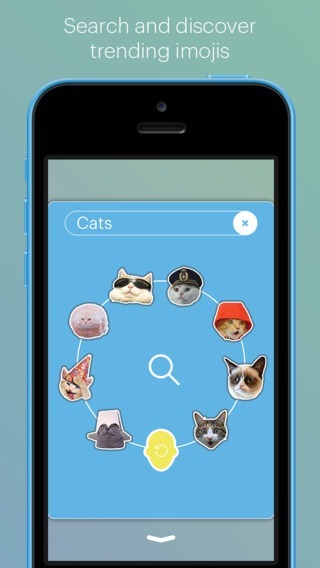 and investors, Imoji could well be a mainstay as social networking platforms and apps continue to thrive. Download it, give it a whirl, and as ever, do leave your thoughts and comments via the usual mediums below.